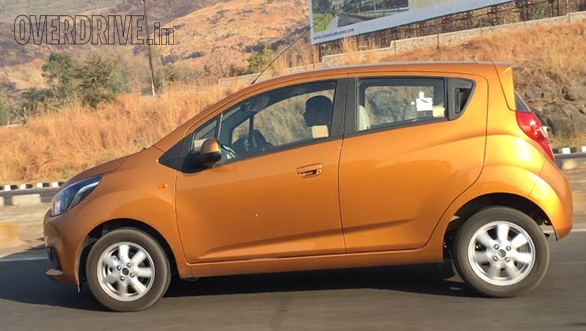 Chevrolet has been testing the facelifted Beat for quite sometime in India, and it looks like the American car manufacturer is now ready to launch it here. While earlier spy shots that we had of the car were camouflaged, the recent one doesn't have any. First off, what you notice in this updated Beat is the new orange colour. Compared to the outgoing car, the facelifted Beat has a sobered down grille but surrounded by chrome elements, and the lower lip is more pronounced while the shape of the fog lamp nacelles too are different. The headlamps have also undergone a revision while the bonnet is a pinched unit now. From the side, there is no difference though, and unlike the Essentia sedan that was showcased at the expo last year, this one doesn't have the turn indicators on the wing mirrors. The alloy wheels look to be carried over from the outgoing car. 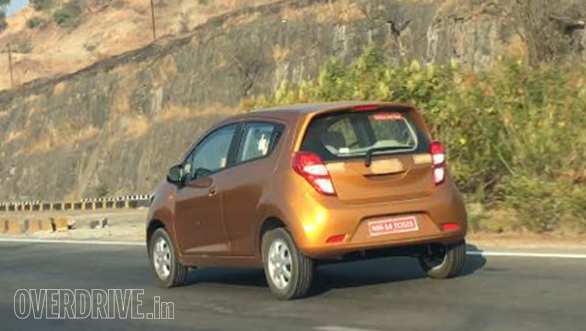 At the rear, the lamps have undergone a redesign while the bumper along with the reflectors is new too. The loading lip, however, is still high. While there are no photos of the interior, the new Chevrolet Beat will have the same motorcycle-inspired meters but with a slight change to the hue and tone. The steering wheel will have Bluetooth audio and telephone controls on it. The other big change will be the introduction of a touchscreen infotainment system. This MyLink infotainment system can be paired with any smartphone and it mirrors the phone's screen. 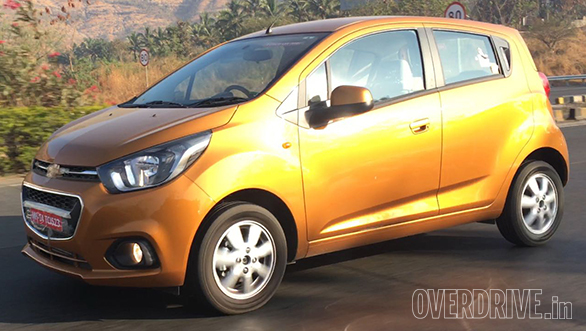 GM India will project this as the most affordable car in its segment with all these features. The 1.2l petrol and 1.0l diesel engines may see a minor revision for more efficiency and lesser emissions. GM is also likely to keep the prices of the new Beat very competitive. The new Chevrolet Beat will be launched by June-July 2017 in India and will be up against the Tata Tiago and the Hyundai Grand i10.